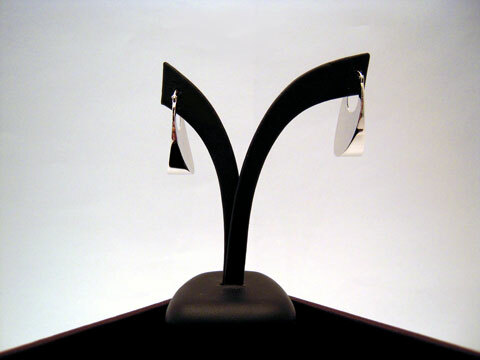 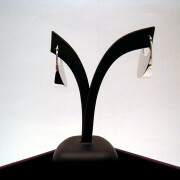 A pair of 9ct drop shaped earrings with a hand beaten finish. 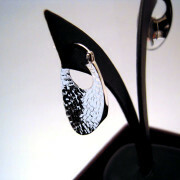 A pair of 9ct white gold drop shaped earrings with a hand beaten finish on one side. 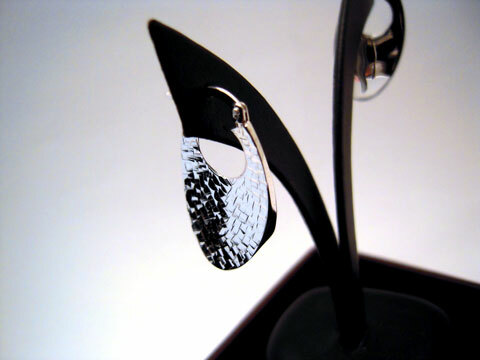 The earrings smooth, tapered profile is visible from the front and the hand beaten detail is visible from the side- Perfect for a ‘hair up’ occasion.